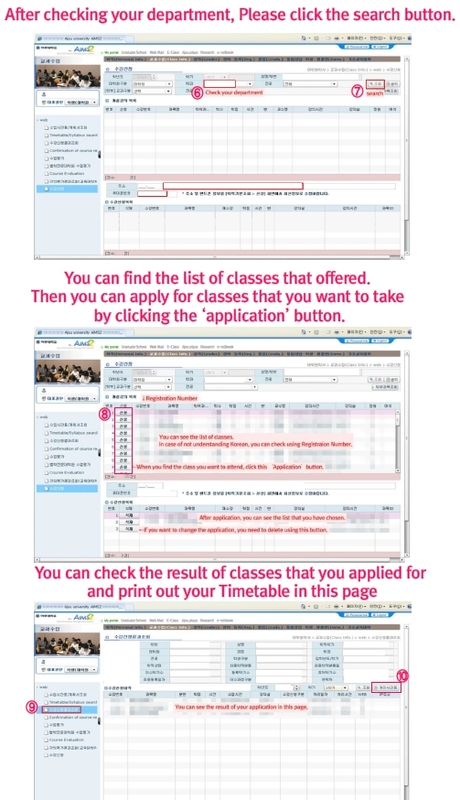 All students can apply for classes during the designated period using an AIMS2 portal website. Before the application, students should check the required credits in Major and Research for graduation or completion of course. Because it has different combination of credits in each department. 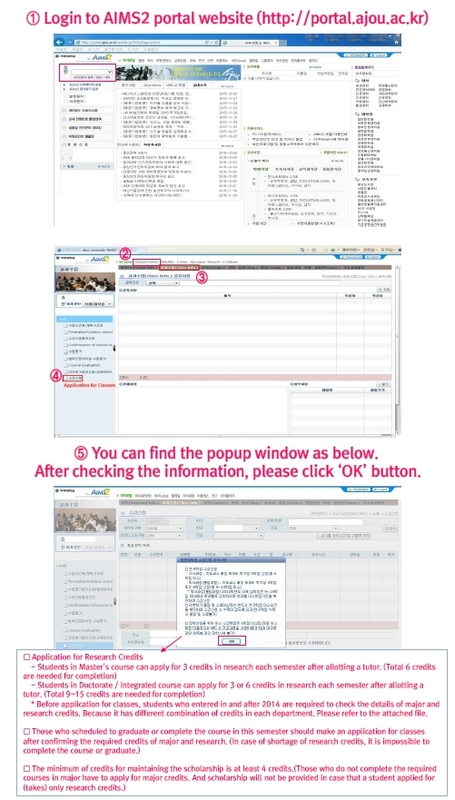 For more details, please refer to the attached file.